Bridal Wreath Falls is a cool little grotto tucked away in the foothills of the Rincon Mountains. To my knowledge it has not appeared in any guidebook, but it is far from unknown. On a winter weekend you will share this trail with more than a few people. 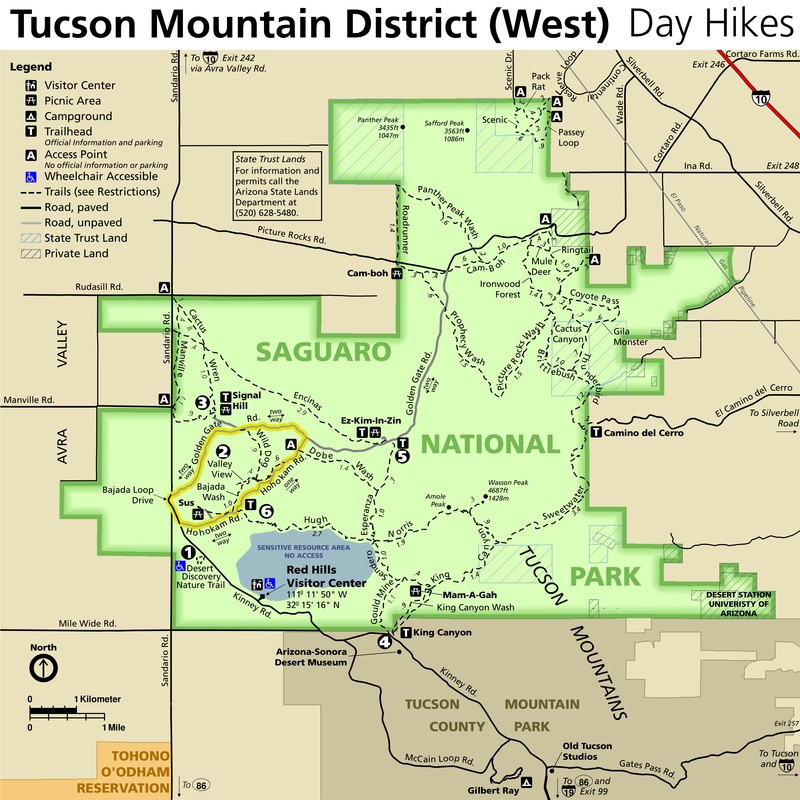 Nonetheless, it is a pleasant hike and a nice change from the abundance of steeply vertical Tucson trails. 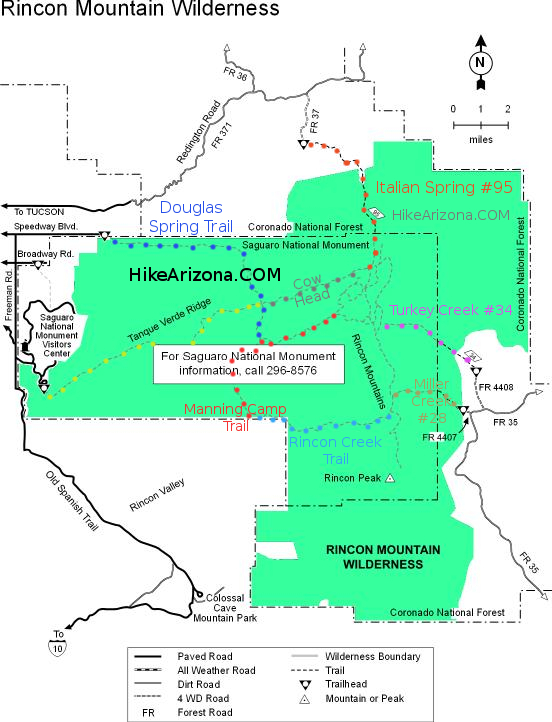 The Douglas Spring trail is your route into the backcountry. 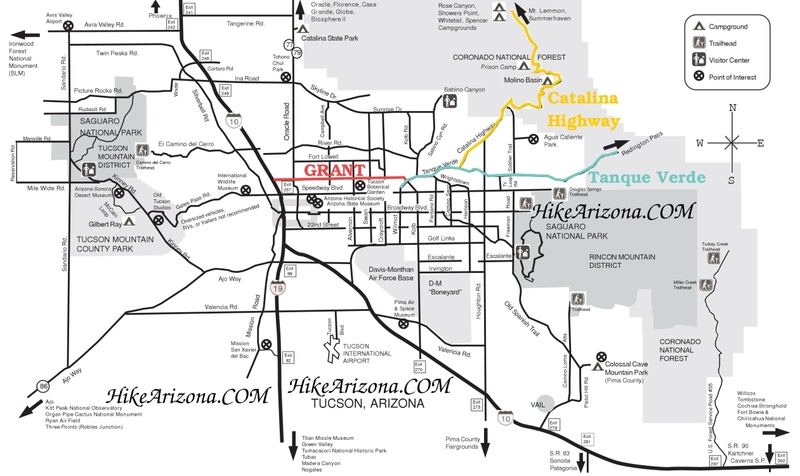 It starts in the low desert of the Tucson valley, quickly passing two junctions, where you bear left and stay on Douglas Spring trail. The trail then climbs up a hillside to meet a junction with the Carrillo trail. Bear left. The trail continues climbing into the Rincon foothills, gradually and easily. After dropping to cross a wash, the trail climbs up parallel to the wash, which still held some fall color when I passed in December. At the head of the wash, the trail finally moderates and strikes out across the large field. The vegetation has changed with the elevation, and the trail now cross large fields of grass and prickly pear. This was by far my favorite section of the hike. You are cut off from the city and surrounded by views of the Rincons and Catalinas. There is a great sense of isolation and wilderness to be found here, only a few miles from the the trailhead. After passing a junction with the Three Tanks trail (bear left), you will come to a junction with the spur trail to Bridal Wreath Falls. Turn right here and follow this short trail as it drops into a tree-filled canyon and follows it upstream. Eventually you will reach Bridal Wreath Falls, where tall canyon walls guard a thirty-foot overhang. Water drops off the overhang and falls through open air to splash on the rocks below. The water was merely dripping when I visited, but I imagine that during a rain this waterfall would be impressive. 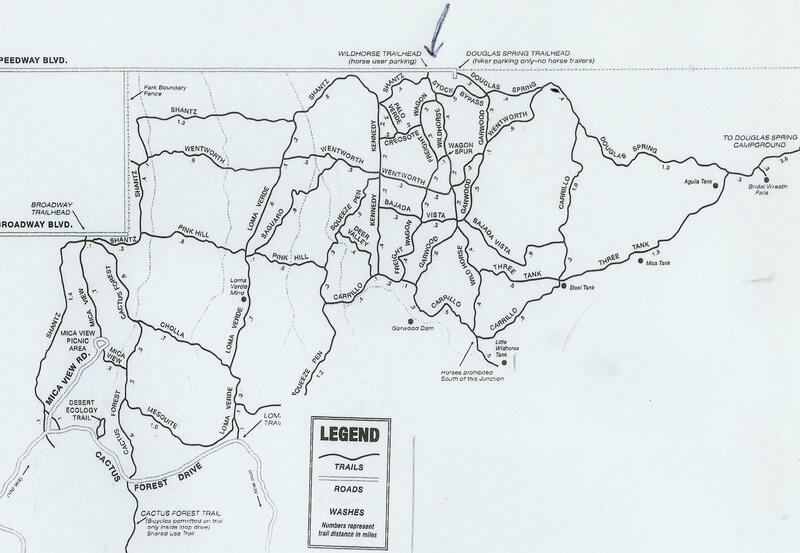 To return, you can simply retrace your steps back to the trailhead for a 5.6 mile hike. 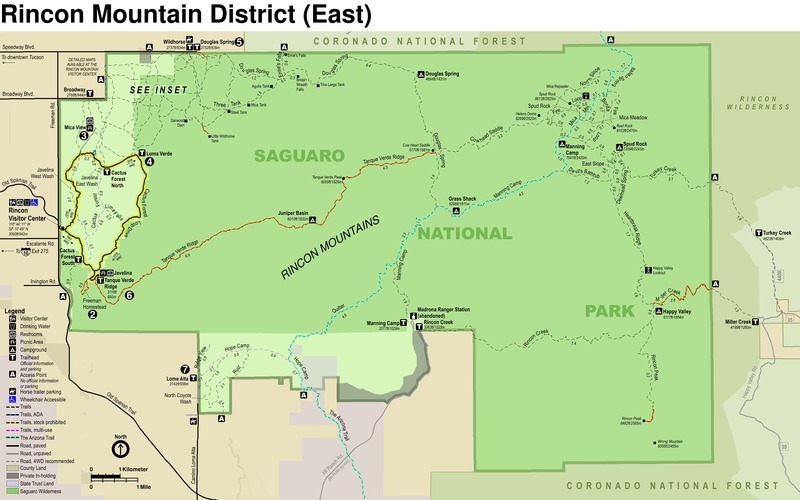 Alternatively, you could follow the Three Tanks trail to the Carrillo trail, then take the Carrillo trail back to the Douglas Spring trail. This alternative will add about 1.5 miles to your hike, but will take you through some different terrain.